Speech-Language Development uses naturalistic play contexts such as “floor time” to facilitate two-way communication, expression of feelings, intentions and desires through words or play. Further, children initiate and learn pretend play, as well as, hold a conversation for a period of time. We specialize in emphasizing development and usage of grammatical sentence structures, writing conventions, spelling skills and the ability to decode and retain printed and/or written information. 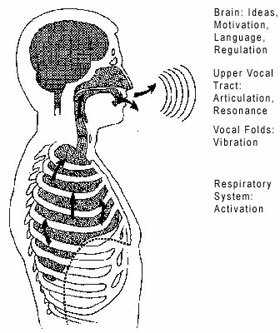 Speech-Language Development also will assess and facilitate motor system development of oral structures to bring about improvements in speech function. This treatment involves range of motion tasks, resistance and endurance exercises. At Speech-Language Development we utilize a specialized therapy technique called PROMPT or PROMPTs for Restructuring Oral Muscular Phonetic Targets. This technique uses auditory-visual-tactile-kinesthetic input to promote planning, organization and execution of sounds while gaining motor control of jaw, lips and tongue to facilitate speech production and growth in language skills. Please contact me if you have any questions about our services, or would like to arrange an appointment. I would welcome the opportunity to work in conjunction with your child and family! We invite you to browse through our comprehensive list of articles to learn about various speech and language disorders.